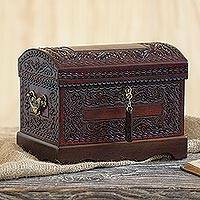 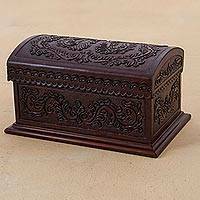 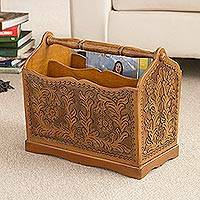 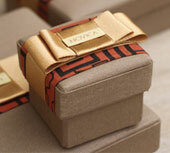 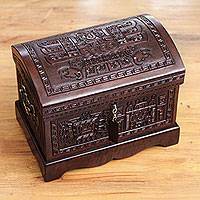 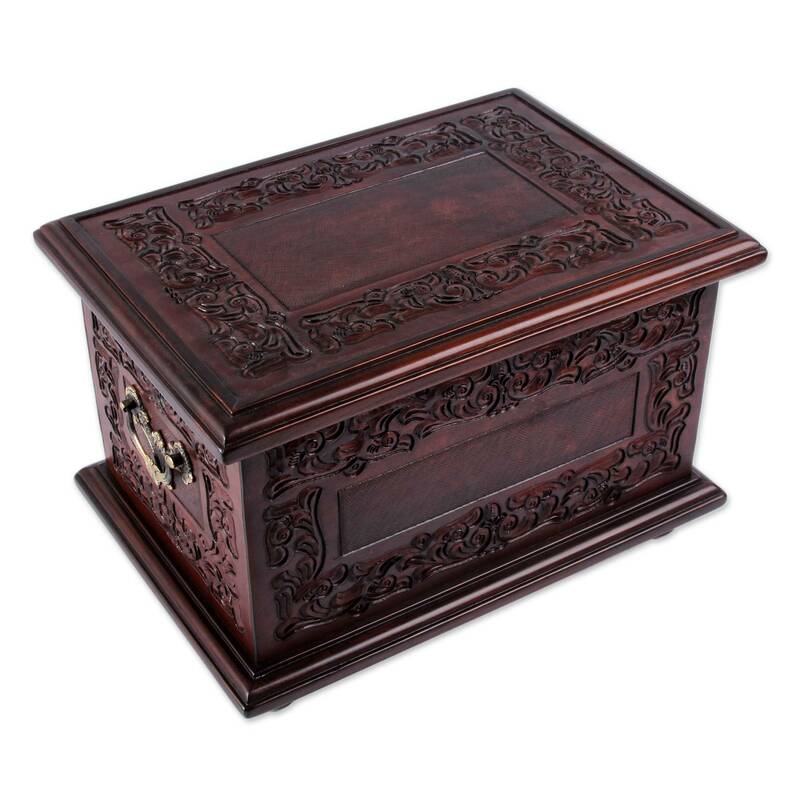 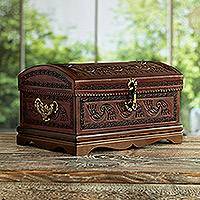 Keep your jewelry tucked safely away in this handcrafted colonial-style jewelry box. 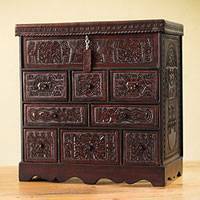 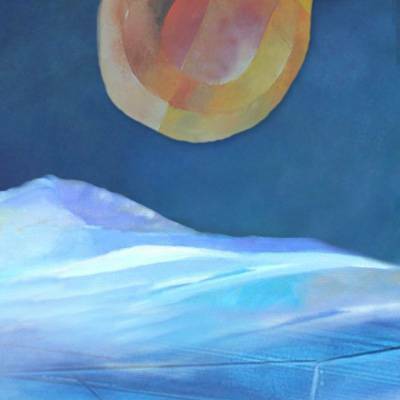 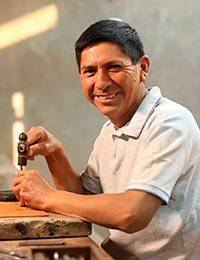 By Julio Sanchez from the Andes, this charming piece features cedar and mohena hardwood. 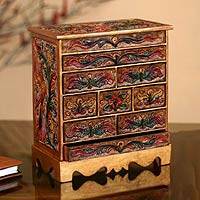 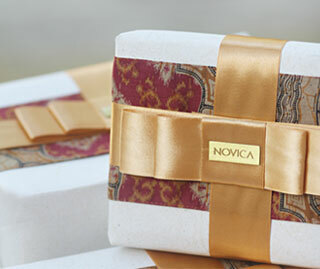 This intricately detailed heirloom will rival the beauty of the jewelry you store in it!